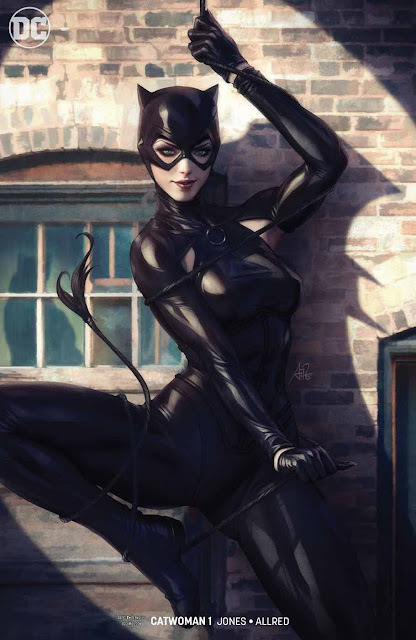 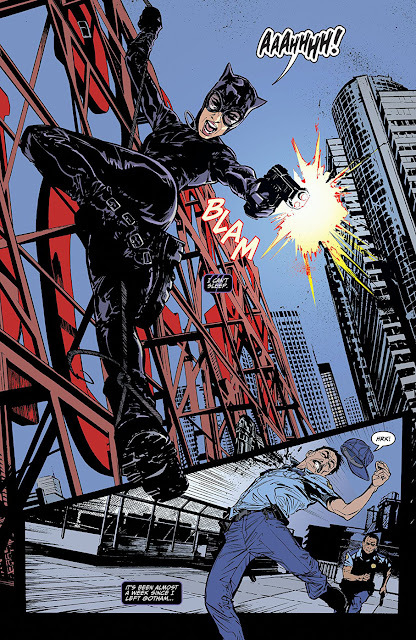 "...the wedding night's barely over, but the 'Catwoman' is back on the streets, this time to expose a copycat who's pulling heists around 'Gotham City'. 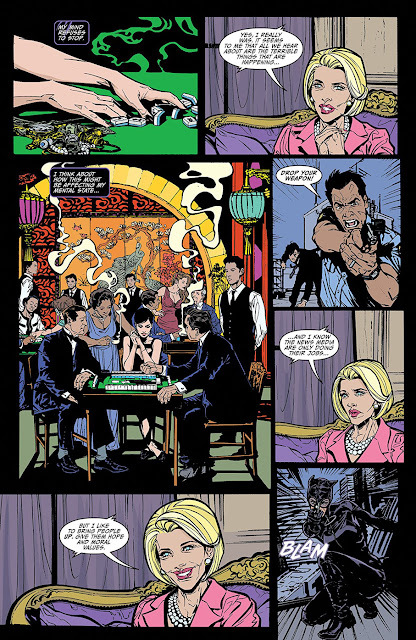 "As 'Selina' cracks the whip on her former criminal cohorts, she's attracting unwanted attention from one of Gotham's most dangerous groups. 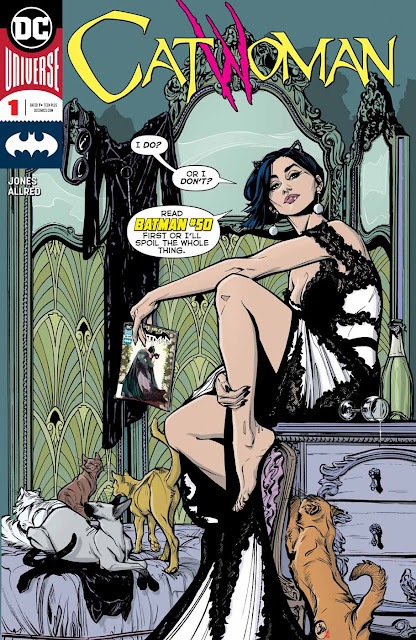 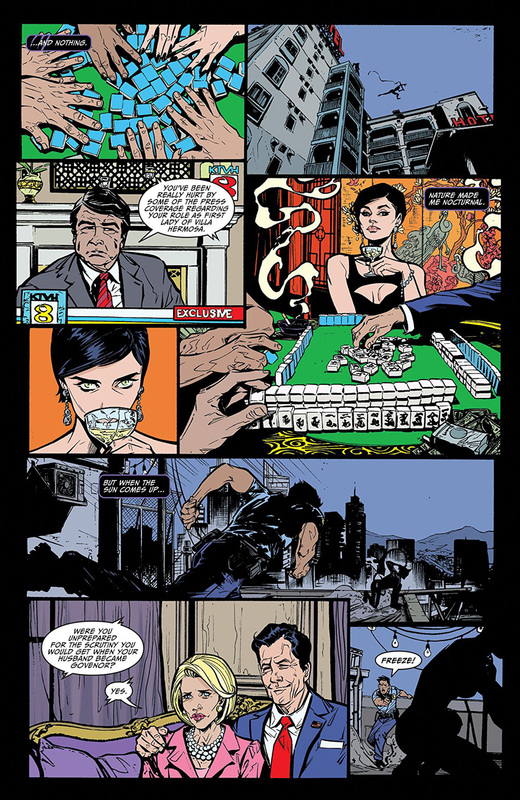 "And as if the 'Bat-Bride' didn't have enough problems, the debut of an all-new villain isdetermined to make trouble for all nine of Selina's lives..."